The former cricket star and leader of the Movement for Justice, or Pakistan Tehreek-e-Insaf party, pledged to continue waging his anti-corruption campaign. Imran Khan has begun to sketch out an economic agenda as he eyes elections next year. 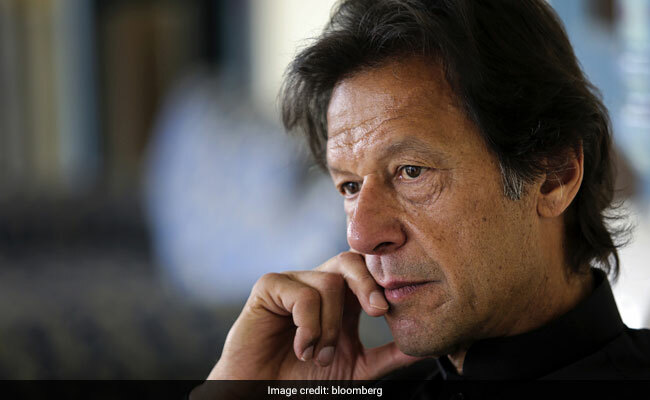 Riding on the success of his years-long anti-corruption crusade that led to the ousting Pakistan's premier Nawaz Sharif, opposition leader Imran Khan has begun to sketch out an economic agenda as he eyes elections next year. He plans to lure new investors by cleaning up the South Asian nation's "corrupt" institutions, saying more roads and other infrastructure could be built if politicians stopped inflating contracts for kickbacks. In a wide-ranging interview in a mountain town outside the capital Islamabad on Thursday, he said the rupee was overvalued and pledged to reduce Pakistan's widening deficit by taxing the country's "tiny, rich elite" via an independent agency. The former cricket star and leader of the Movement for Justice, or Pakistan Tehreek-e-Insaf party, pledged to continue waging his anti-corruption campaign, which culminated in ousting Sharif, who stepped down last month after the Supreme Court barred him from office following an investigation into his finances. The Sharif family has denied any wrongdoing. Khan, 64, has pledged to submit to court this week fresh graft charges against Shehbaz Sharif, the chief minister of Punjab, who may take over his older brother's former role. "The moment you clamp down on corruption and you have clean governance, then people are willing to invest," Khan said in the cloud-covered town of Nathia Gali. "We borrow money and then to pay and service our debts we have to apply indirect taxes and that impoverishes the people more, and so we are caught in this vicious circle," he said. "The only way we can get out of it is if we fix the state institutions, which then stops this money laundering and corruption." Things are looking up for the leader of the PTI, the second-largest opposition party. Khan's court victory against the Sharif family creates the possibility that he could become the country's next prime minister. At the same time, the upstart party will face a tough struggle unseating Sharif's ruling Pakistan Muslim League-Nawaz, which has already appointed former petroleum minister Shahid Khaqan Abbasi as a replacement premier. The PML-N governs the most populous state of Punjab and has deep patronage networks across the country. There are also questions about Khan's ties to the powerful military establishment that controls large parts of the economy and Pakistan's foreign policy. "Imran Khan is sitting pretty," said Michael Kugelman, a South Asia senior associate at the Washington-based Woodrow Wilson Center. "Khan has a legitimate shot to become the prime minister next year, but it certainly won't be easy." Khan -- relaxing at a hilltop government residence in a white collared shirt, jogging pants and orange Nike running shoes -- said corruption, money laundering and rampant debt accumulation remained the largest obstacles to growing Pakistan's economy. Citing his party's rule in the northwestern province of Khyber Pakhtunkhwa, which borders Afghanistan, Khan said that he has attracted "record" levels of investment by clamping down on corruption, depoliticizing the police and improving security. He could not provide exact figures and the government does not release provincial GDP figures. Khan said a PTI-governed Pakistan would follow a China-type model of economic growth, eliminating poverty by investing in infrastructure, providing more regular power in a country where blackouts are common -- including in the building where the interview was held -- and increasing tax collection. Only about 1 percent of Pakistan's more than 200 million people pay taxes. Tax collection "is the number one thing -- balance the budget and stop these huge deficits," Khan said. While Pakistan's currency is overvalued, the country needs to "try and reduce the costs of doing business more than trying to look for devaluation, because if you don't reduce the cost of doing business I worry the rupee could just go into a free-fall." Khan is facing his own Supreme Court battle, which is investigating his purchase of a London flat. Khan said the case was politically motivated and described how he had filed documentation of his past cricket earnings with the court. He also said his party has provided details of 40,000 donors after accusations of illegal foreign funding, which is being probed by the election commission. A harassment scandal has also been leveled at Khan, after female PTI lawmaker Aaisha Gulalai quit the party last week claiming he and other PTI officials sent lewd text messages to female members. Khan called the "smutty" allegations baseless. The prime minister has ordered an investigation into the charges. Khan has been accused of close ties to the military, which has ruled Pakistan for much of its 70 years. Some observers believe the army supports Khan because his attacks on the ruling party helped weaken the civilian government, strengthening the military's hand. "There was a very important and telling meeting that took place a few months earlier, when Khan met General Bajwa," said Shailesh Kumar, a New York-based senior Asia analyst at Eurasia Group, referring to current army chief, Qamar Javed Bajwa. "The two released a photo, and the message was clear -- the army will and can back Khan if he ever wins and Khan in turn accepts the army's supremacy over the civilian government." Khan denied the "bizarre narrative" that he was a tool of the military. He said Pakistanis in the past cheered when the army took over because corruption in the civilian government was so bad. "The best way to keep the army out is fixing the governance system in Pakistan," Khan said. Reiterating long-held views about U.S. involvement in Afghanistan, he said peace in Pakistan's war-torn neighbor requires the withdrawal of American troops. And while he wanted to increase trade with India to reduce poverty, Khan said better ties were unlikely with the country's Hindu-nationalist Prime Minister Narendra Modi in power.